Looks like a new lounge is opening up tomorrow night. I mapped it, I'm not very familiar with that area. Looks like it's in the Fens. Anyway, it's called Church. Here's the invitation. RSVP if you want to go. 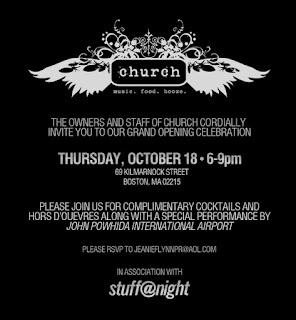 0 Response to "Church Grand Opening - 10/18"